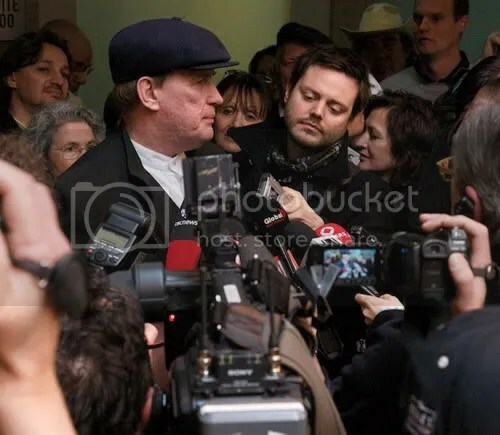 Farmer Michael Schmidt, surrounded by reporters and supporters following last month's "not guilty" verdict in Newmarket court. The Province is now appealing that decision. “Chewing a hay lunch, Svetlana, Viola and Leah display a bored calm in their wide, brown eyes. 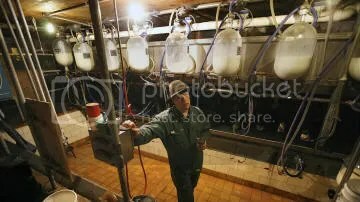 Their glazed looks belie the burgeoning legal war over the product of their udders.